Another excellent New Zealand Sauvignon Blanc for under $15 a bottle. Light, citrusy with lots of lemon and lime. 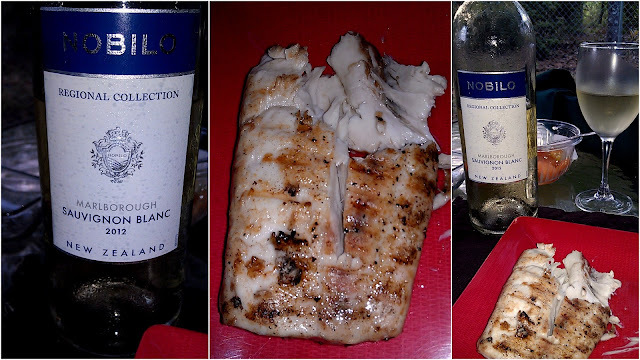 Perfection with grilled grouper. We are enjoying the cold whites with a variety of seafood this time of year. So far, haven't found a New Zealand wine I didn't like. Buy this one, you won't be sorry! I have never found a New Zealand wine that I did not enjoy...that with Australian wines too. I do not think I have ever had a NZ wine. That is so true, Velva. I like Peter Lehman wines too. Esme, I recommend them, especially the whites for hot summer weather. Thanks for visiting. I love lamb - Mrs. L, what time shall we be there?! Mrs L, we are having grillef lamb this evening, fancy coming by for this dish? !